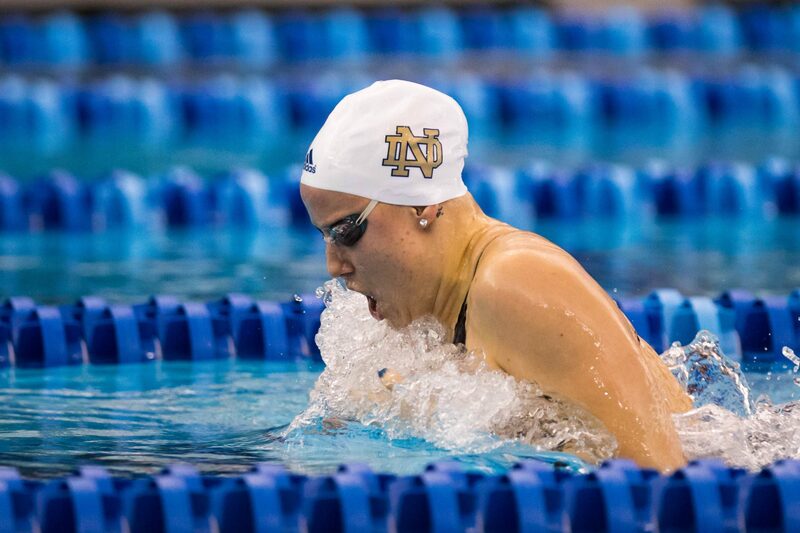 The women of Auburn, Notre Dame, and Vanderbilt squared off in a triangular meet on Saturday, with Auburn taking home victories over both teams and Notre Dame splitting with a win over Vanderbilt and a loss to Auburn. Worth noting from this meet is that Notre Dame senior and defending NCAA 200 breast champion Emma Reaney did not swim the 200 breast. Reaney, who spent the summer training with the pros at SwimMAC Carolina, was second in the 100 breast with a 1:02.39, behind Auburn’s Natasha Lloyd, who came in at 1:02.23. 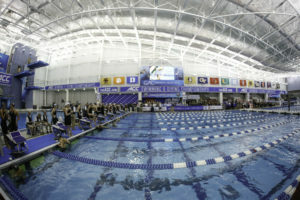 Reaney was 1:01.78 in the 100 breast Friday night at Georgia Tech, and did win the 200 IM on Saturday in 2:03.49, almost three full seconds ahead of the next finisher. She also took second in the 500 free behind Auburn Sophomore Ashley Neidigh, 4:59.25 compared to Neidigh’s 4:51.88. The Tigers took first in every event of the day but the 200 IM in a meet lineup that included 100s and 200s of each stroke, a strong showing from the team who finished second at the SEC championships and 14th at the NCAA championships. Auburn’s depth was apparent right away, a one, two finish in the 200 medley relay was followed by a sweep in the 200 freestyle just two events later. The Tigers took the relay with a 1:41.50 performance from their A relay, comprised of Sarah Reynolds, Natasha Lloyd, Megan Fonteno, and new comer Ashton Ellzey. The B relay was not far behind, coming in at 1:41.54 from Jillian Vitarius, Annie Lazor, Mckenna Debever, and Allyx Purcell. Sophomore Ashley Neidigh won the 1000 freestyle handily, coming in at 9:55.87 compared to Vanderbilt’s Carrie Benedict, who was second in 10:22.58. Ithe 200, Auburn freshman Zoe Thatcher and Valerie Hull were one and two, while Junior Alex Merritt was third. 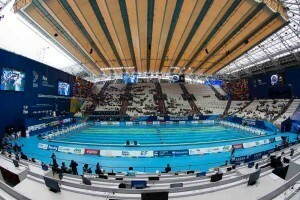 Thatcher was 1:50.01, Hull came in at 1:50.76, and Merritt finished in 1:51.65. 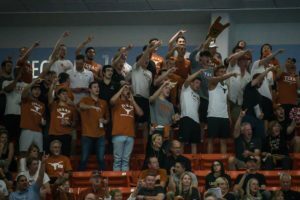 The backstroke, and much of the meet, was the same story for the Tigers, who simply dominated the Fighting Irish and Vanderbilt Commodores. Jillian Vitarius won the 100 back for the Tigers in 54.59, followed by her teammate, Sarah Reynolds, with a 55.29. 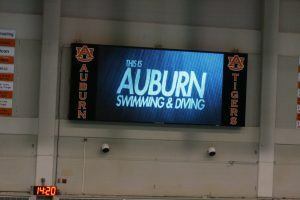 Auburn got their second sweep of the day, this time from Purcell, Merritt, and Hull, in the 100 free. Purcell won in 50.15, Merritt won in 50.80, and Hull came in at 51.06. The Tigers capped off the day with a victory in the 400 free relay. Overall, this was a dominant performance from the Tigers, who will look to keep the momentum rolling when they head to Tuscaloosa. to take on Alabama on November 1.